Custom corporate diaries for your business. Lettertec diaries are produced entirely at our manufacturing plant in Cork, we offer a range of both customised and personalised products. 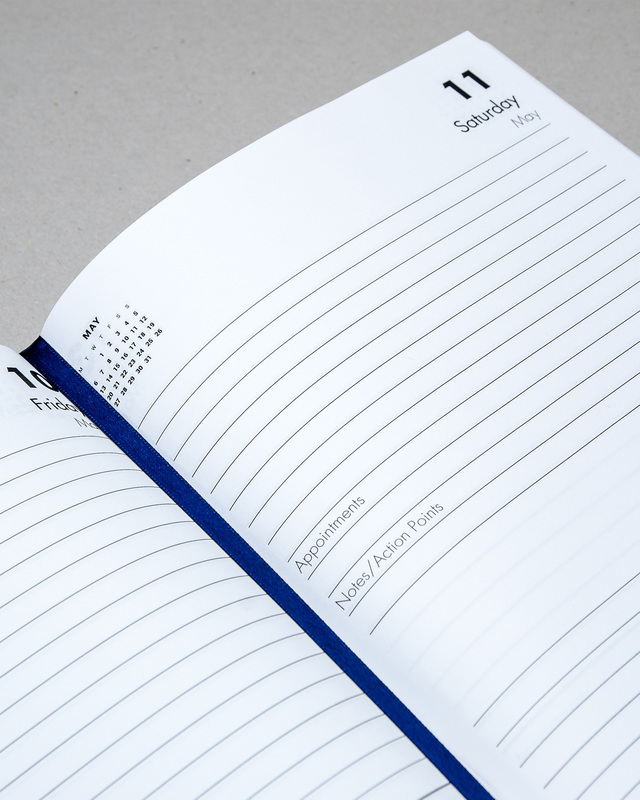 Whether it is used for technical recording purposes or just a day per view, we provide options in both Royal (150mm X 225mm) and A4 (210mm X 297mm) desk diaries. Standard 5 day-to-view with ½ day Saturday & Sunday diary block or Individualised for content purposes; Personalised Name Blind Debossed or Hot Foiled on front cover at additional charge; Personalised Name and colour logo printed on 1st page using our variable data offering as an optional extra (.csv file provided); Full colour laminated hard cover as an optional extra; With prices starting from only €20, we offer the best premium fully customised and personalised diary manufactured solely in Ireland. 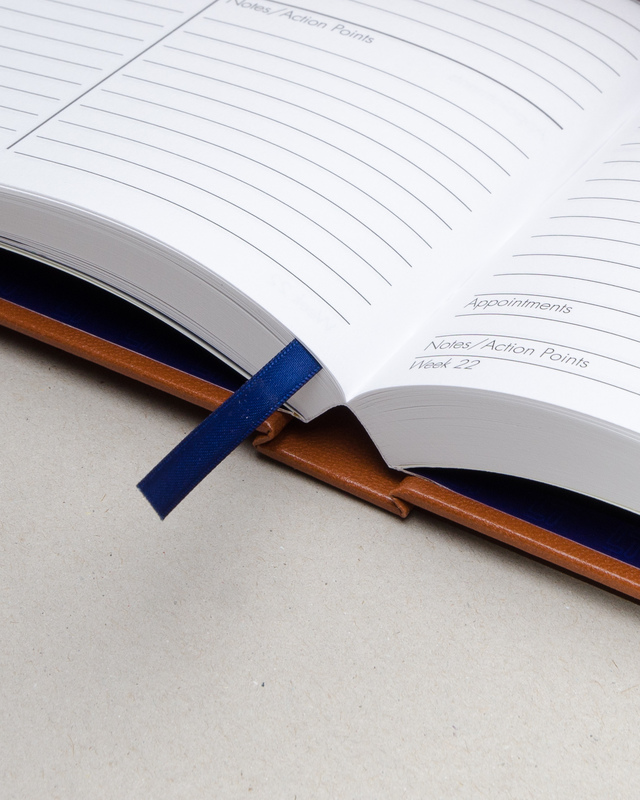 Our larger A4 (210mm X 297mm) technical diaries are a great way of capturing project and task relevant information and records for office or field staff. Whether it is an engineers or a field technicians diary, we can offer fully customised options for information capture. Some examples are outlined below, however these are fully customisable to your specific needs or use. Please contact us for further information. For all options and to see how we can support you needs, please contact us.